Comment: Original gutters need to be replaced. Also need to add gutters in one area not previously covered. Home is being repainted right now and I would like to have new gutters installed shortly thereafter. Comment: I would like to get an estimate for installing new gutters. Comment: Approximately 61-78' of 6" guttering, with 2 downspouts and 2 corner shields are needed across the front of the home. It is a 'stilt' home, with concrete slab underneath. Crystal River Gutter Cleaning & Repair Services are rated 4.69 out of 5 based on 207 reviews of 7 pros. 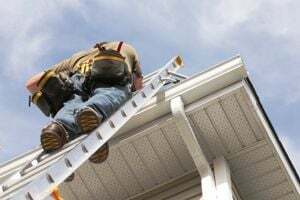 Not Looking for Gutters Contractors in Crystal River, FL?